Community development, Daily news, environmental activities, economical opportunities, government procedures and more. Food stamps, rent aid and the safety net for American’s poorest at risk as shutdown drags on. As the partial government shutdown continues into its third week, the impacts are falling hardest on those who can afford it the least — and the effects will grow even more punishing if key agencies remain paralyzed beyond Feb. 1 and into March. At risk: food on the table for millions of vulnerable households, rental assistance and other safety net programs. Trump last week threatened to keep the government partially closed for months, even years, if the impasse over the border wall continues. Under criticism, the Trump administration this week moved to shore up one of the most important pillars of the social safety net, the food stamp program, which benefits 38 million Americans and whose funding was due to run out at the end of January. 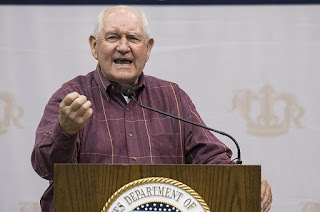 Agriculture Secretary Sonny Perdue said Tuesday that the agency would rely on a little-known budget provision to give states the money for the Supplemental Nutrition Assistance Program for the month of February ahead of time — by Jan. 20 — to circumvent the expiration of federal appropriations. Perdue also ensured that other nutrition assistance programs, including school meals and a program for mothers and young children, would be funded through February. The Special Supplemental Nutrition Program for Women, Infants and Children (WIC) provides food, baby formula and breast-feeding support to 7.3 million mothers and children under 5 years old. 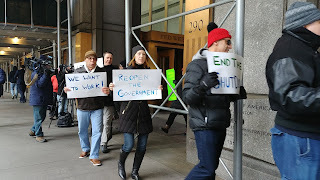 But officials could not promise that those benefits would continue if the shutdown lasts until March. The food stamp program has a $3 billion reserve, which would cover less than two-thirds of the $4.8 billion in benefits distributed each month. Beginning in March, families could experience an average cut of at least $90, or close to 40 percent, assuming the agency spreads the $1.8 billion shortfall evenly across the 19 million households receiving SNAP benefits, according to an analysis by the Center on Budget and Policy Priorities. The USDA has not said what it would do in the event the shutdown lasts that long. When the SNAP contingency money runs out in April, the food assistance program will probably be closed altogether, anti-poverty advocates said. 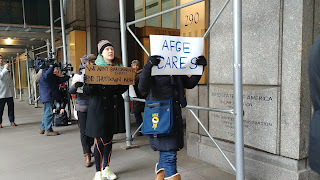 Federal funding has also been shut off for cash welfare benefits, known as Temporary Assistance for Needy Families (TANF), for 3.4 million of the poorest Americans, the majority of whom are children. For now, states are picking up the financial burden — $4.2 billion they were to have received from the Department of Health and Human Services to cover January through March. States are providing benefits by cobbling together previously unspent federal funds with state dollars. “We don’t know at what point states will start to panic and that will start to affect people relying on TANF,” said Elizabeth Lower-Basch, an expert on the social safety net at the Center for Law and Social Policy. If the government does not fully reopen by Feb. 1, nearly 270,000 rural families who receive federal rent subsidies through the USDA would also be at risk of eviction because their landlords would no longer be paid, said Bob Rapoza, executive secretary of the National Rural Housing Coalition. An additional 2.2 million low-income households receiving rent assistance could be put in jeopardy in March when funding for the Department of Housing and Urban Development’s Section 8 voucher program runs out. State and local public housing agencies would also stop receiving money to operate more than 1 million public housing units in March. 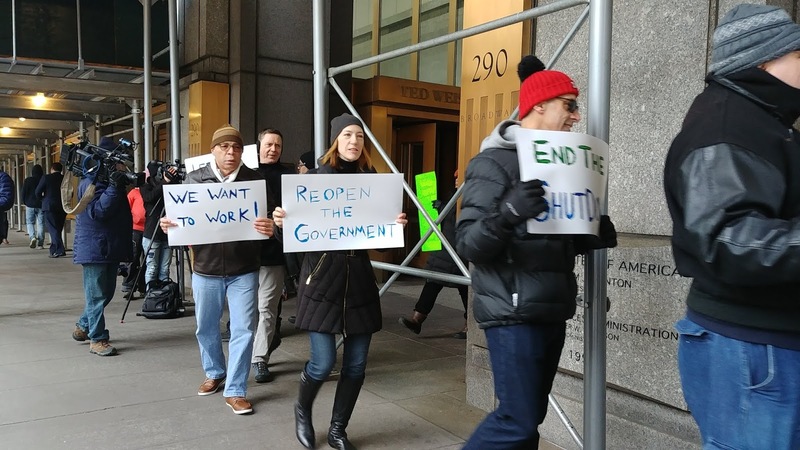 HUD officials told The Washington Post this week that furloughed staffers have been called back to work to scour agency accounts for money that could be used to cover contracts that expired before the shutdown. But those that expired after Dec. 22 remain in limbo, with payments possible only after renewal of the earlier batch of contracts. The agency sought to downplay the impact of the expired contracts. “No one has ever been evicted because of a shutdown, and the landlords have always been made whole,” said HUD spokesman Jereon Brown. 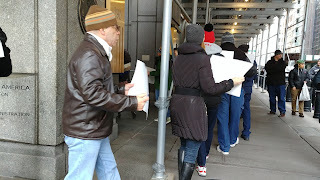 But he acknowledged that more contracts expire with each day that the government remains closed. Another 500 contracts are scheduled to expire by the end of January, and 550 in February, the agency said. The risk of eviction for low-income tenants grows the longer the government remains closed, housing advocates say. HUD also announced Wednesday there could be major delays in the disaster relief funding it is sending to Puerto Rico, Florida, and a number of other places because of the shutdown, saying it likely would not be able to meet a timeline set by Congress . 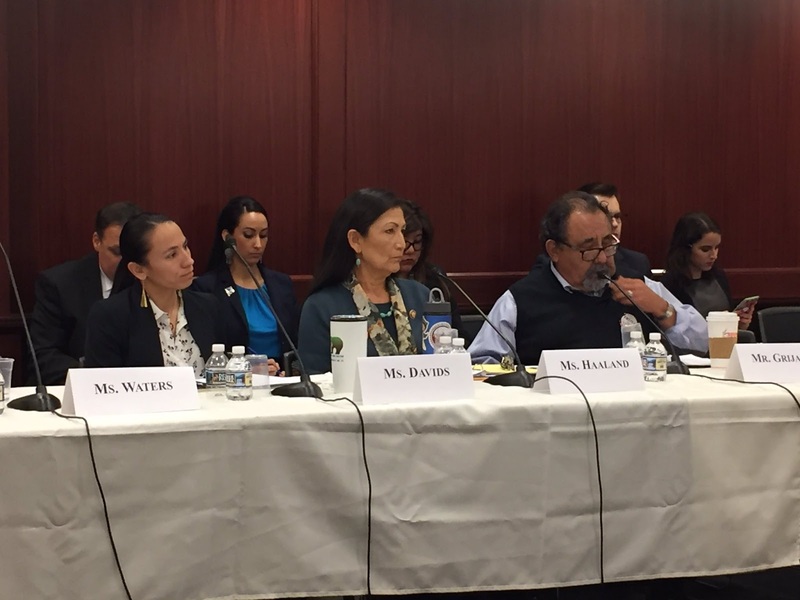 The shutdown has hit Native American tribes especially hard because so many of their basic services depend on federal funding, as a legacy of their negotiated treaties with the U.S. government. U.S. Rep. Sharice Davids (D-Kan.) — a member of the Ho-Chunk Nation and one of two Native American congresswomen newly sworn in this month — said one tribe witnessed a member die during the shutdown because road crews did not plow snow-filled roads and an ambulance could not get through. She did not provide further details, saying she wanted to respect the tribe’s privacy. Several tribes have reallocated funds to keep hospitals and clinics open on their lands. But staff at those hospitals has already grown thinner, Davids said. “For many in these communities, this is the only way people can access health care,” she said. Kerry Hawk Lessard, executive director of Native American Lifelines — a Baltimore-based group that provides health assistance to Native Americans living in urban areas — said she has needed to turn away members seeking rides to doctor’s appointments and halt funding for previously promised eyeglasses as a result of the shutdown. 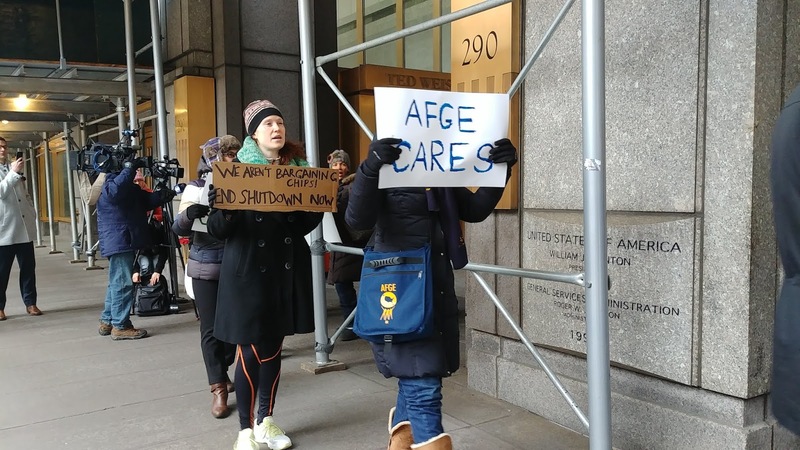 Nonprofit groups in Washington say they are making contingency plans after facing an uptick in calls from furloughed federal workers — with 362,000 of them living in the area — as well as families starting to panic about losing a slew of social safety benefits. The Capital Area Food Bank in Northeast Washington revamped its website to lead with a tutorial on how to get food during the shutdown. The food bank sought assurances from federal authorities that the government will continue supplies of food and is trying to persuade grocery stores and other partners to help shore up dwindling supplies. “We’re hearing from first-timers trying to understand how we work, what the hours are, whether there’s any near their homes,” said Radha Muthiah, the food bank’s president and chief executive. Valerie Beaudin, 51, who was furloughed from her job as U.S. Census geographer, spent Tuesday morning handing out supplies at a food pantry in Huntingtown, Md., during a special event for federal workers. Some were young, newly hired workers with no savings. Others were couples who both worked for the federal government. “They were grabbing everything from luncheon meat to oranges to diapers and baby supplies,” Beaudin said. Muthiah said Capital Food Bank has started talking about creating a fund for future shutdowns. Jeff Stein, Damian Paletta and Amy Goldstein and NY Times contributed to this report. 32-year-old Brandt Lollie, stabbed and killed by girlfriend in north Philly. President Obama’s U-turn on his decision to veto the NDAA bill is human rights tragety. Information is knowledge and knowledge is prosperity. Visit the White House for daily updates from the President himself. 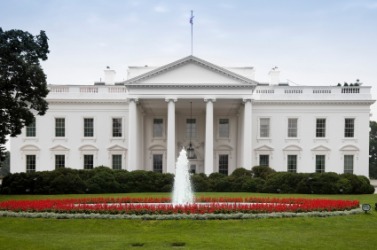 Click on photo to visit the White House.This week, the President visited the Consumer Financial Protection Bureau, welcomed this year's NBA Champs, addressed the EPA, announced a new Chief of Staff, and introduced the White House's Insourcing Initiative. Become a Vesintel Partner today and earn cash right now. Copyright 2011 @VesInteL Brooklyn, New York 11212. Ethereal theme. Powered by Blogger.